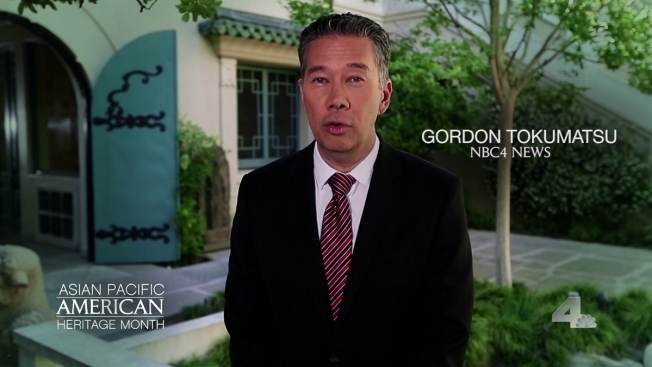 NBC4 Southern California is proud to celebrate Asian-Pacific American Heritage Month in May with a 30-minute program, “Life Connected Special in Celebration of Asian Pacific American Heritage Month,” which will air Saturday, May 2 at 8:30 p.m. The Life Connected special - hosted by Reporter Ted Chen and “Today in LA” Traffic Anchor Holly Hannula - will include unique stories of individuals throughout Southern California that have made a difference in the Asian American community. Tune in to watch Reporters Kim Baldonado, Hetty Chang, Angie Crouch and Gordon Tokumatsu report on everything from the history of hip hop which has deep roots in the city of Cerritos to a nonprofit that uses performing arts to promote a deeper understanding between diverse cultures. We’ll talk to the family of an accomplished Japanese American photographer from World War II who took incredible photos of life inside internment camps and the importance of sharing this history with future generations. The special will also share an exclusive interview with a 100 year-old woman who was the first Korean American woman in the U.S. military and her family’s experience immigrating to California in 1902. As an added bonus, Hannula will take you on a tour throughout the Southland of renowned neighborhoods rich in history and culture. Tune in on May 2 and look for public service announcements airing throughout May that feature several NBC4 anchors and reporters sharing what their heritage means to them. Launched in 2012, weekly “Life Connected” segments air on Sundays during the 11 p.m. newscast and Mondays during the News at Noon. The stories celebrate individuals who come together to enhance the quality of life for others and overcome obstacles. Stay connected with us by tuning in to NBC4, at NBCLA.com or through the NBCLA mobile app for all breaking news and information.